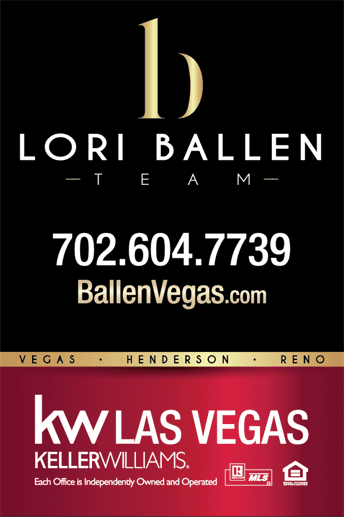 Get a Will when Buying a House in Las Vegas. Here’s Why.. Yes, you read that correctly. For most people, buying a home is the single largest financial investment of their lives. Yet few home owners stop and consider what will happen to their investment if they die — with pretty nasty consequences if they do nothing at all. If you die without leaving a will, state law decides what happens to your home. It may not be what you expect or want. Each state has specific rules for distributing a deceased’s property in the event that he dies without leaving a will. While the rules are too complex to explain fully, here’s the gist of what will happen to your home. Single and childless? If a childless, single person dies without leaving a will, her property passes to her parents. If her parents are dead, her property goes to her siblings in equal shares. Single with children? If a single parent dies without leaving a will, his estate is split evenly between his children. This is the most straightforward distribution, and usually the one that the deceased would have wanted. Married no children? Now the rules get complicated. If you are married with no children, what happens next depends on where you live. In some states, a surviving spouse inherits everything. In other states, the spouse might only get one-half or even one-third of the property and the rest goes to the deceased’s parents. If the parents are also deceased, the remainder is divided among the deceased’s siblings. The court will order a sale of your home so that the sale proceeds can be divided among your beneficiaries. Married with children? In this scenario the surviving spouse typically receives one-third to one-half of the estate, or a fixed cash award together with a percentage share of the home. The rest of the deceased’s estate is divided among the children. While the law protects immediate family members, your home may not pass to the people you want it to. Grandchildren, step-children and your favorite nephew do not get a look in unless you leave a will. As soon as a person dies, federal and state estate tax liens attach to the property she leaves behind. In simple terms, this means that the executor of the deceased’s estate must pay the tax bill before he does anything else. If the tax bill is high, the executor will sell the deceased’s home and other valuable assets to raise enough cash to pay the bill. A high tax bill can enormously reduce or even eradicate the inheritance received by your beneficiaries. The threshold for federal estate tax changes yearly but is currently over $5 million. Luckily, most estates fall well below the federal threshold and can simply file an affidavit stating that no estate tax is due. Larger estates require specialist valuation and input from the IRS. When writing a will the basic rule is, anything goes. As long as you validly prepare and sign your will, the court will follow your precise instructions. In other words, you can leave your property to whoever you please, including distant relatives, charitable organizations and friends. It’s also possible to structure your estate to minimize tax liability. An estate planning attorney can help you do this. Upon death, the executor or administrator of your estate gathers your cash and liquid assets, pays off your debts (including your mortgage) and transfers the title to your home to the beneficiary or beneficiaries you name in your will. The home passes to your beneficiary free of mortgage, so they can immediately move in or list the home for sale. If you do not leave enough cash to pay off your mortgage, the executor will sell your home, pay off the mortgage and pay the balance of the sale proceeds to your beneficiary. If you buy your home with another person, such as your spouse, you may be able to bypass the probate process entirely. All states let co-owners buy property as “joint tenants.” The primary benefit of a joint tenancy is that, if one co-owner dies, the survivor gets full ownership of the property. This happens automatically: there is no need to wait for a will reading or an order of the probate court. What’s more, because a joint tenancy estate automatically passes to the surviving home owner, the property never forms part of the deceased’s estate and is disregarded for estate tax. Some states have special arrangements for married couples that confer all the benefits of a joint tenancy and also include some additional tax breaks. It is not obligatory by law to make a will and many home owners put the task off. But by making a will you decide exactly who gets your home and how much of it they receive. This avoids unnecessary arguments amongst family members at an already stressful time. By planning ahead and writing your will, you have peace of mind knowing that you have made life as easy as possible for those you have left behind.